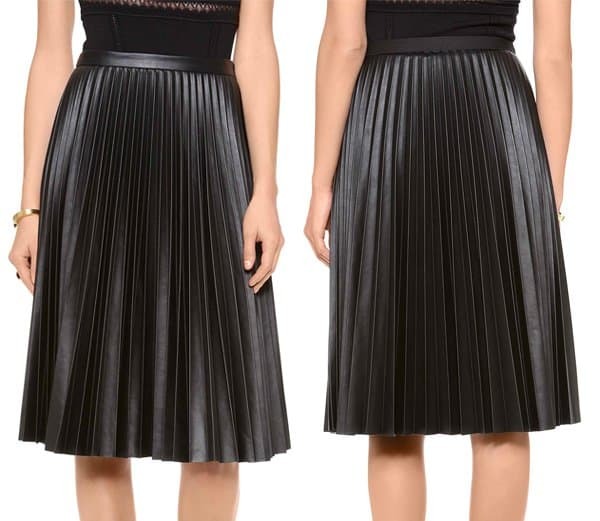 The Top 5 Skirt Trends of 2013 – Which Trend Was Your Favorite? The skirt designs that became popular last year were interesting. The silhouettes have gotten bolder, with many skirts sporting a full, volumized look. It’s also the year for girly designs and mixed multimedia as designers teamed up fabrics and textures that haven’t been teamed up before. 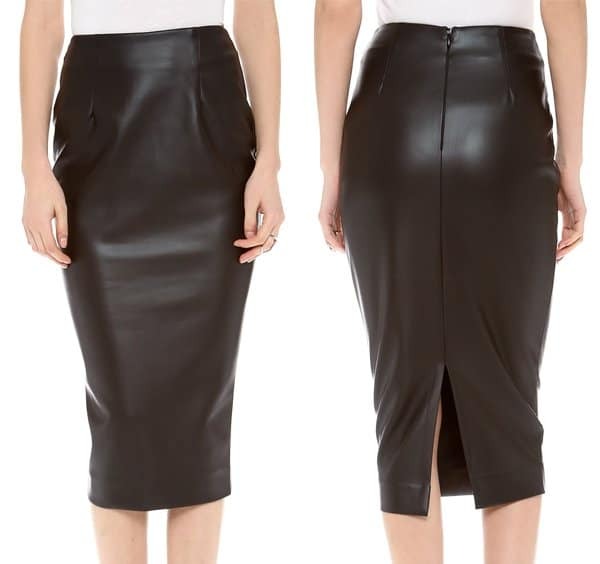 Although a perennial favorite, pencil skirts have taken on an edgier flair with the incorporation of leather materials. 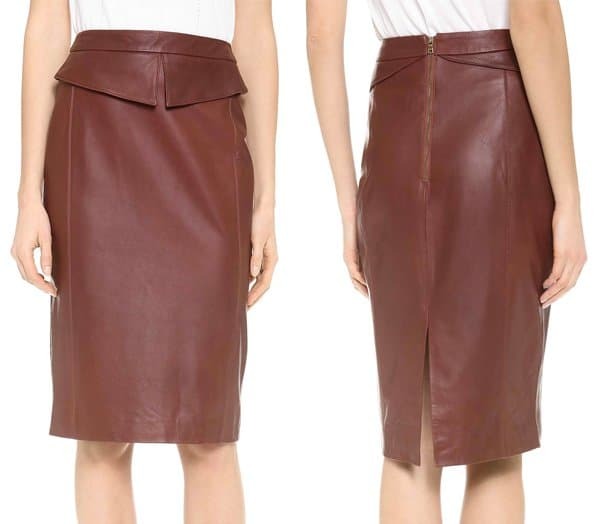 No longer frowned upon as a skirt that only strippers and whip-wielding women can rock, the leather skirt has become a winning option. In September, fashion model and daughter of Rolling Stones rocker Mick Jagger, Georgia May Jagger sampled the trend and wore it with a sporty varsity jacket, a grey tank top and a pair of sandals. Young actress Elle Fanning was also lured by the charm of leather skirts despite her usual girly, vintage and ethereal aesthetic. Other celebrities who wore leather skirts last year were Rachael Taylor, Kate Hudson, Kim Kardashian, Emmy Rossum, Alexa Chung, Una Healy and Rihanna. Who will look down on the sartorial elegance of the midi and maxi skirt? I’m talking about the full-skirted kind, the kind that makes you look like you are wearing a modern form of petticoat inside. But no, it’s just the pleats and the volume created by the skirt’s material. We spotted Diane Kruger wearing a black full skirt summer of last year. She looked stylish from head to toe, opting to style her skirt in a nautical way by wearing it with a striped shirt. Voice actress, Laura Bailey, looked beyond adorable in a cotton candy pink full skirt that she styled with a periwinkle knit top over a white button down shirt. We have also spotted this kind of skirt on Jennifer Lopez and Nichole Richie. Veil skirts became a red carpet favorite. What’s not to like? It easily gives a dose of sophistication. In fact, many have gotten away with wearing a long veil skirt and a simple halter or cropped top for red carpet events last year! For her Teen Choice appearance, Pretty Little Liars star, Ashley Benson, gussied up in a royal blue veil skirt with peplum details. To keep her look great for the summer season, she wore it with a bustier top and a pair of coral pumps. 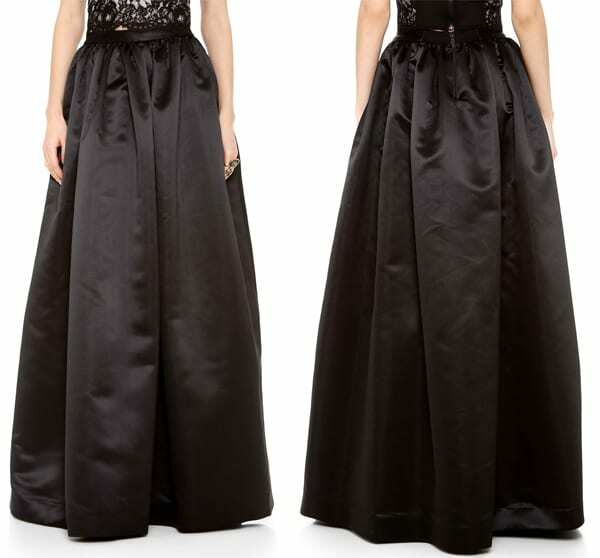 Dresses with veil skirts are also quite the red carpet staple. Fashion model Kate Moss styled it right with the blazer, giving the illusion of a two-piece set. We got bitten by the preppy bug. Pleated skirts spearheaded the invasion of preppy style. Interestingly enough, many celebrities steered away from preppy styling when they wore their pleated skirts! Take, for example, Lily Collins, who went the edgy route by teaming her maxi pleated skirt with a cropped top and a pair of pumps. Rihanna looked like a skater girl in her shirt, sneakers and pleated mini skirt when she visited Amsterdam last year. 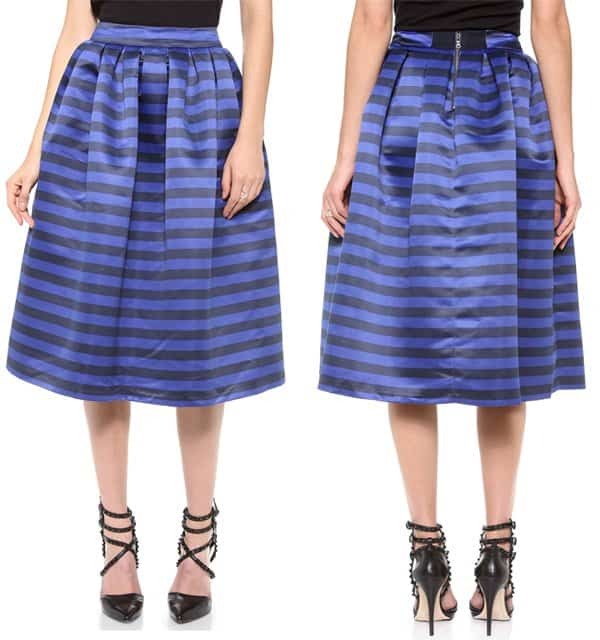 Boxy pleats, electric pleats or micro pleats, this skirt has captured the interest of many celebrities including Isla fisher, Ashley Tisdale and Katy Perry. 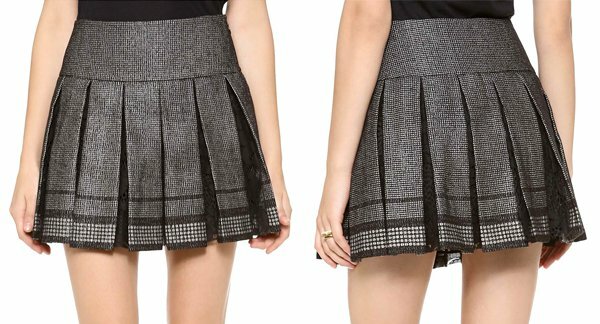 Flounce skirts are those skirts that look like a cross between a pencil skirt and a pleated skirt. 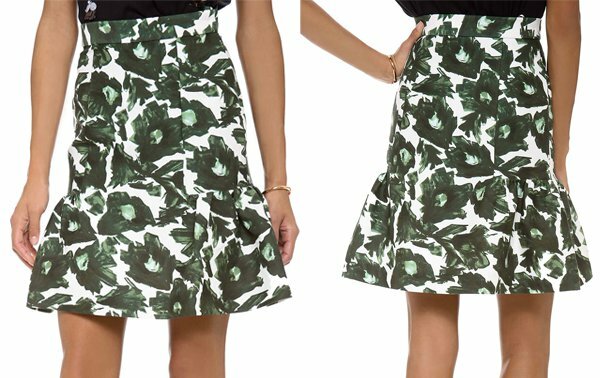 We think bloggers favored these skirts more because we’ve seen this trend on them more than we’ve seen it on celebrities. Olivia Palermo wore a dress with that kind of skirt for a Fashion Week event. We have also written about Kim Kardashian wearing this trend. Skater, origami and wrap skirts make up the list of special mention skirts. We think many of these 2013 trends will still be popular this year so make sure you don’t cross them out of your must-have list just yet! But do tell us, which of these trends are your favorites? Which one would you like to stay trendy a bit longer?